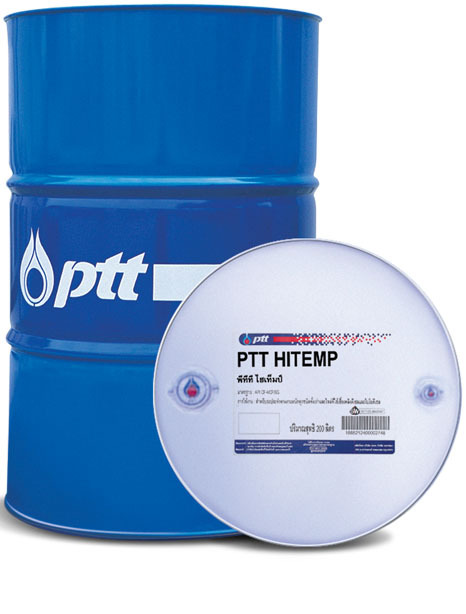 PTT Hitemp is a high quality heat transfer fluids of superior thermal stability, produced from a highly refined paraffinic oils and contain anti-oxidation additives, which provide excellent thermal stability and long service life. Exhibit excellent thermal and oxidation stability, resist formation of sludge. Having low volatility, high flash point and good low-temperature flow characteristics. Recommended bulk fluid temperature 320OC max. for closed systems and 200OC max. for open systems. Can be used in heat transfer systems requiring temperature control such as dye – works, bleaching plants and plastics industries.